Screenwriter John Ridley joined family members of nineteenth-century author Solomon Northup to receive the 26th-annual USC Libraries Scripter Award for 12 Years a Slave. Selection committee co-chair Howard Rodman announced the winners at the black-tie event on Saturday, Feb. 8, at USC’s Doheny Memorial Library. 12 Years a Slave’s Scripter win adds to the growing number of awards for the Fox Searchlight film, including best motion picture in the drama category at last month’s Golden Globes. The film is nominated for nine Academy Awards, including Best Picture and Best Adapted Screenplay. Scripter, established by the Friends of the USC Libraries in 1988, honors the screenwriter of the year’s most accomplished cinematic adaptation as well as the author of the written work upon which the screenplay is based. Scripter is the only award of its kind that recognizes authors of the original work alongside the adapting screenwriters. Ridley based his adaptation on Northup’s memoir, a bestseller when published in 1853 by Derby & Miller. In the 20th century, the work lapsed into obscurity until Louisiana State University Press issued an annotated version in 1968, following work by two Louisiana researchers to verify the story’s details. USC Libraries Dean Catherine Quinlan welcomed the attendees gathered in the Los Angeles Times Reference Room of USC’s historic Edward L. Doheny Memorial Library. Co-chaired by Golden Globe-winning and Oscar-nominated screenwriter Naomi Foner and USC screenwriting professor and vice president of the Writers Guild of America, West, Howard Rodman, the Scripter selection committee chose 12 Years A Slave from a field of 86 eligible films. 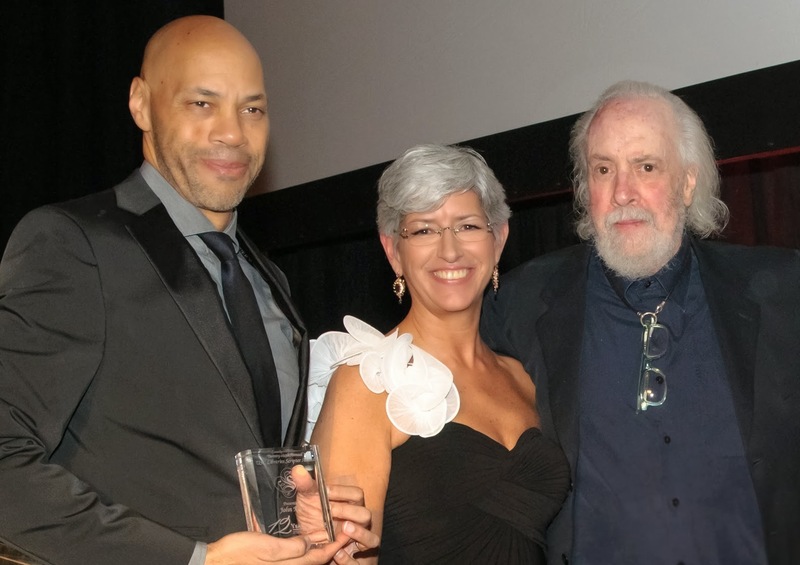 The USC Libraries also honored Robert Towne with the Literary Achievement Award for his contributions to the art of adaptation throughout his career. His daughter, Chiara Towne, presented the honor. Towne, a native of Southern California, has set much of his work there, including his scripts for Ask the Dust, which Towne adapted from the 1939 novel by John Fante, and the Depression-era Chinatown, which earned him an Academy Award for Best Original Screenplay in 1975. He is currently working as a writer on the final season of AMC’s television series Mad Men. Ridley and Rodman in their remarks acknowledged Towne’s work as inspiration to them and the community of screenwriters. “I’m not sure this room has been filled with more wisdom than when Robert Towne stood here alone,” Rodman said. For more information about Scripter, visit scripter.usc.edu.